We recently partnered with Fourworkx, a cloud-based workforce management solutions provider, to help turn its data management system into a cross-functional, cloud-based program that could forecast workload and staffing needs for the customer service industry. Earlier this month, I attended the Gartner Sourcing & Strategic Vendor Relationships Summit in Orlando, Florida. At Shinetech, we encourage self-development, collaboration and leadership among our employees. In order to foster that growth, we provide many educational opportunities like technical trainings to help our developers evolve their skills and expertise. The increasing trend of consumers using mobile devices instead of PCs or brick-and-mortar stores to shop has created a need for retailers to improve their websites for optimal return. From load time to the nuances of how the text is represented on the page, there are many factors that will turn a visit to a website into a transaction. 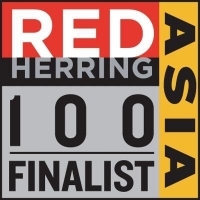 Shinetech Software was selected as a finalist for the 2014 Red Herring Asia Top 100, a prestigious list honoring the year’s most promising private technology companies in Asia. We’re pleased to announce that for the second year in a row, Shinetech Software has been named to the 2014 Inc. 500|5000 list of the fastest growing private companies in the U.S.! As Internet usage on mobile devices continues to grow and exceed that of desktop browsers, it is becoming increasingly important for businesses to have a mobile-friendly website. A responsive website enhances usability and can even help boost conversion rates. 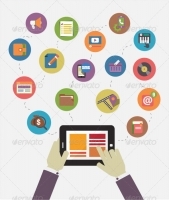 E-commerce has increased in popularity over the years and continues to grow. In fact, eMarketer predicts that E-commerce sales in the U.S. will reach $434.2 billion in 2017. We are excited to announce John Brooks as our new Vice President of Global Delivery. In his new role, John will oversee the delivery of our services around the world.